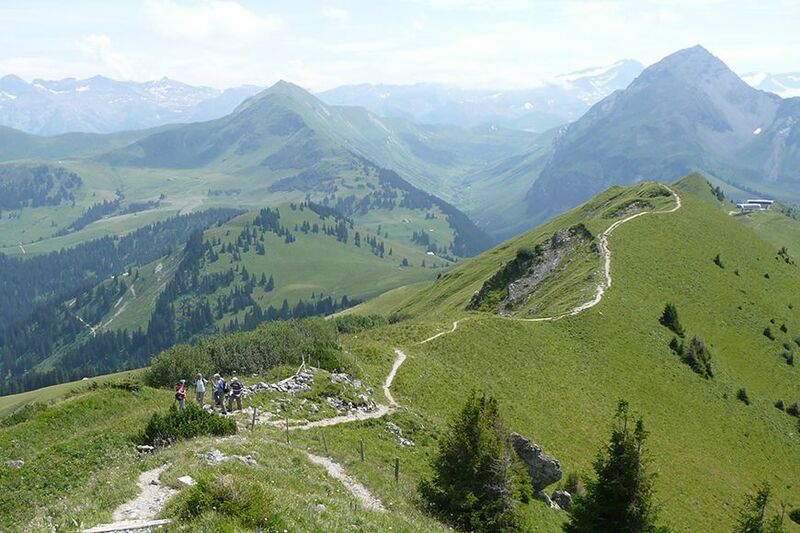 Kudu Travel returns to Austria for opera and classical music, combined with gentle walks in an Alpine setting. 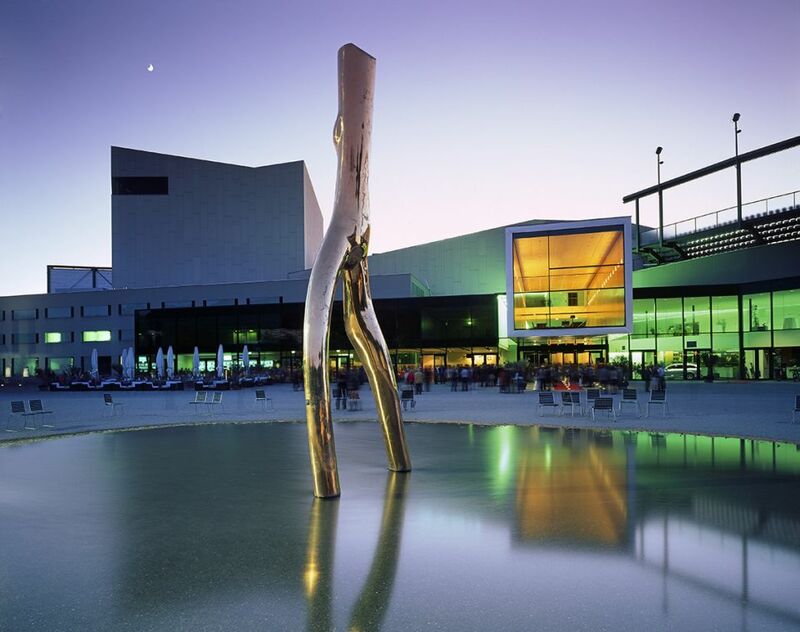 This new tour focuses on the western states of Tyrol and Vorarlberg and their respective capitals, Innsbruck and Bregenz. We meet in Innsbruck and settle ourselves for 3 nights at a traditional mountain hotel in the hills above the city. 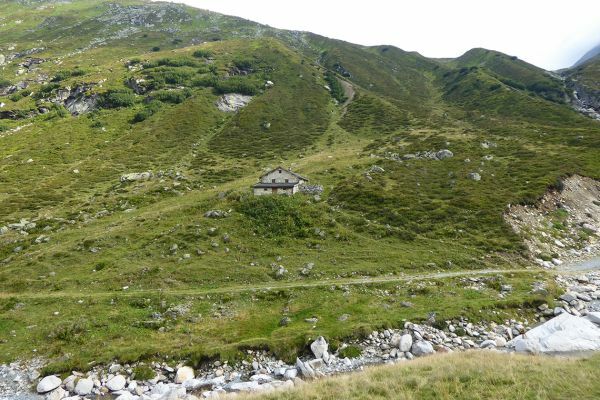 We walk along a branch of the St. James’ pilgrimage route (Camino de Santiago) and take a cable car to access the Innsbruck University Alpine Botanical Gardens, established in the 1930s below the peak of Patscherkopfel (2,246 m). 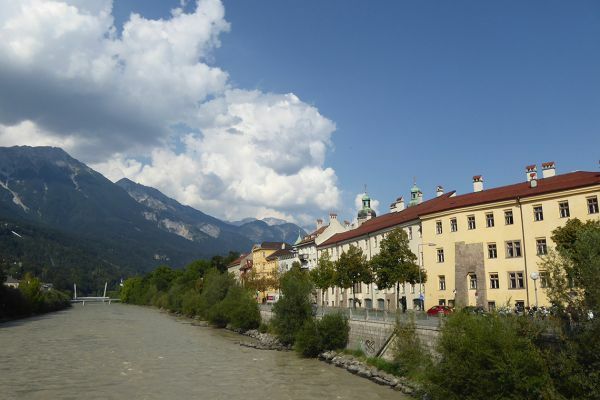 We explore the city, formed around a bridge across the river Inn, the former residence of the Hapsburg family and the centre of the struggle for Tyrolean liberation in 1809. 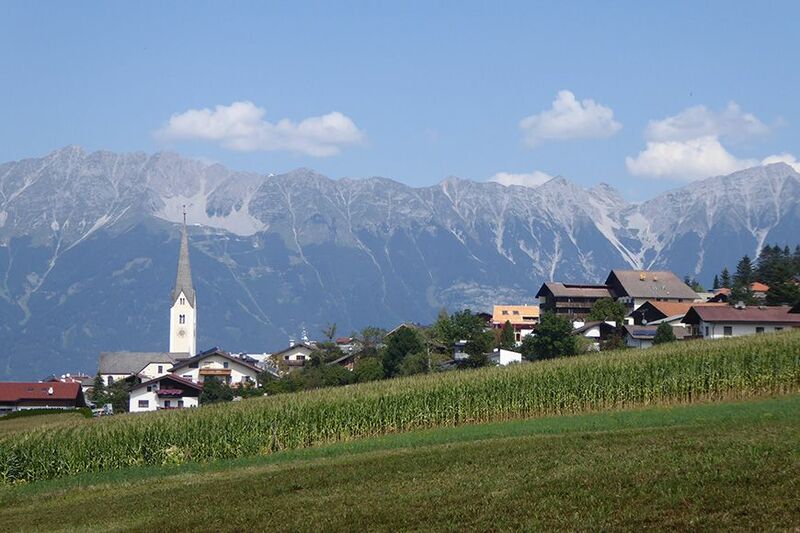 More recently, Innsbruck has become a popular winter sports centre, hosting Winter Olympics and Paralympics. 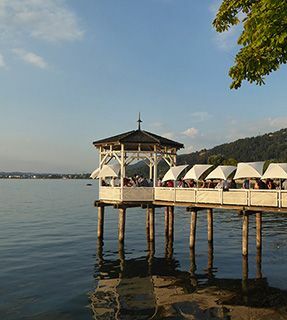 Further west, having crossed the Arlberg massif via a spectacular high pass road, we spend 4 nights in Bregenz on Lake Constance (Bodensee), one of the largest in Western Europe. 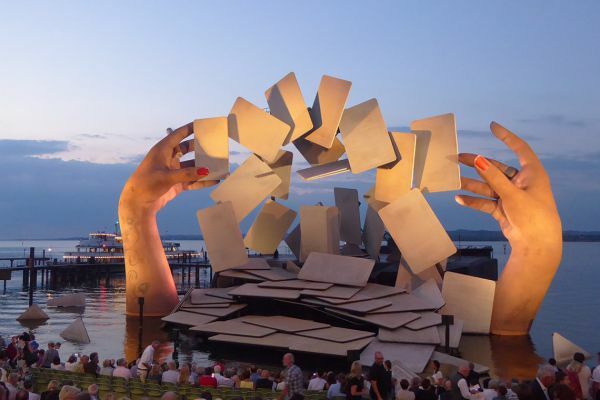 The final highlights of our journey will be two performances of the Bregenz Festival, including Verdi’s Rigoletto set on the floating stage on the lake. 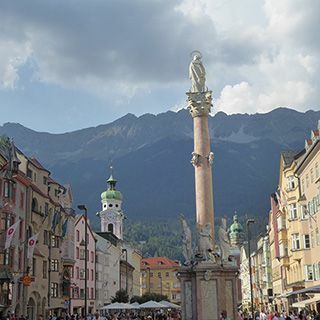 Meeting at Innsbruck airport in the afternoon, we have a short drive to the Bergisel hill, where we explore two contrasting features of the city. Our eyes are first drawn to the remarkable ski jump designed by Zaha Hadid in 2002 and we are whisked to the viewing platform by an elevator. Later, we learn about the four battles of Tyrolean Liberation that took place on Bergisel in 1809. We continue into the hills and our mountain hotel in a charming village. Weather-permitting, we enjoy traditional cuisine featuring game and wild mushrooms on the terrace, with views of the city in the valley below and mountains in all directions. 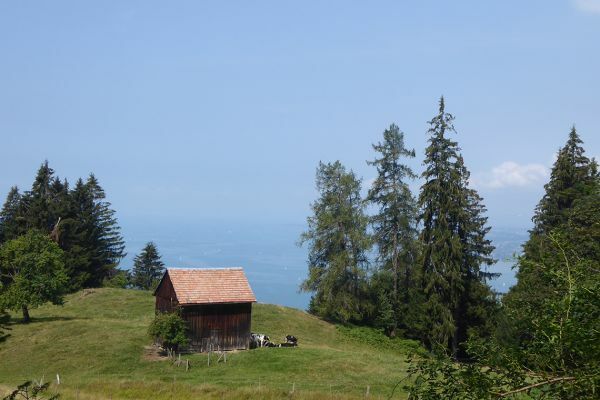 Following a leisurely start and a delicious Austrian breakfast, we walk for two hours on a wide track through woods and fields along a section of the St. James’ pilgrimage route. In the afternoon, we take the Patscherkofel cable car to about 2,000 m/6,500 ft and walk through the Innsbruck University Alpine Botanical Garden, laid out on the northwest-facing side of the mountain in representative habitat units such as dwarf shrub heath, timber forest or tall forb meadow. 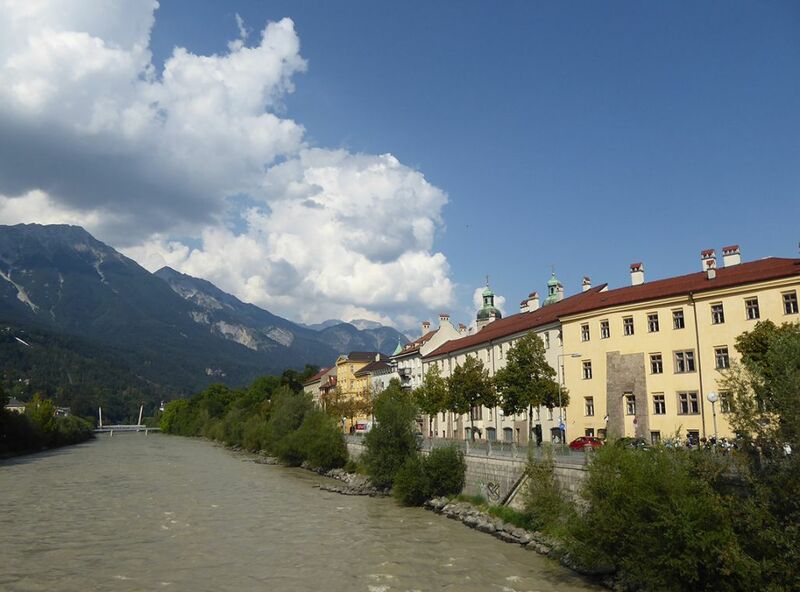 We start our city tour of Innsbruck at the Inn Bridge, originally built in wood at the end of 12th century at the crossroads of several important trading routes. We walk through the old town, on the right bank of the river, viewing many buildings constructed during the Hapsburg era, over five centuries, including Maximilian I’s Hofkirche containing the imperial mausoleum; the 17th century Cathedral, displaying one of the most venerated Marian images, Lucas Cranach the Elder’s Maria Hilf; Innsbruck’s landmark Golden Roof House; the Imperial Hofburg Palace and the Triumphal Arch built by Empress Maria Theresa on the occasion of the wedding of her son, Archduke Leopold. 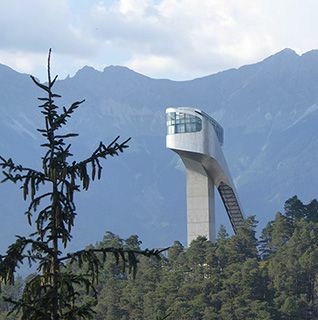 In the afternoon, we discover notable examples of modern architecture in Innsbruck, such as the Haymon Bookshop featuring an imaginative book display and Zaha Hadid’s stations of the Nordkette Railway. 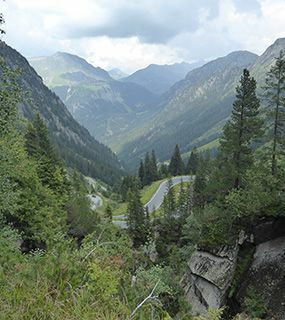 On our journey to Bregenz, we drive across the Arlberg massif using one of Europe’s most impressive mountain roads, the Silvretta Hochalpenstrasse. 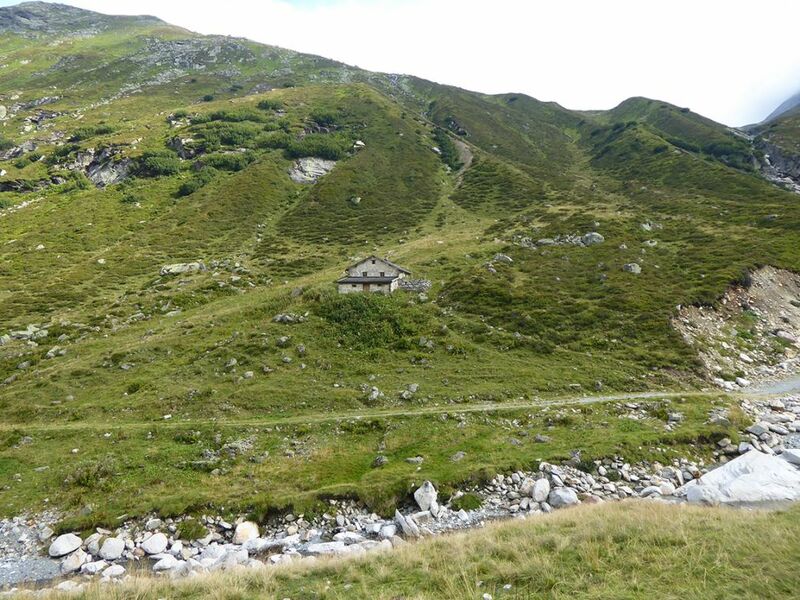 We stop at the highest point at the Bielerhöhe pass (2,032 m) and take a 2-hour scenic walk surrounded by mountain peaks. 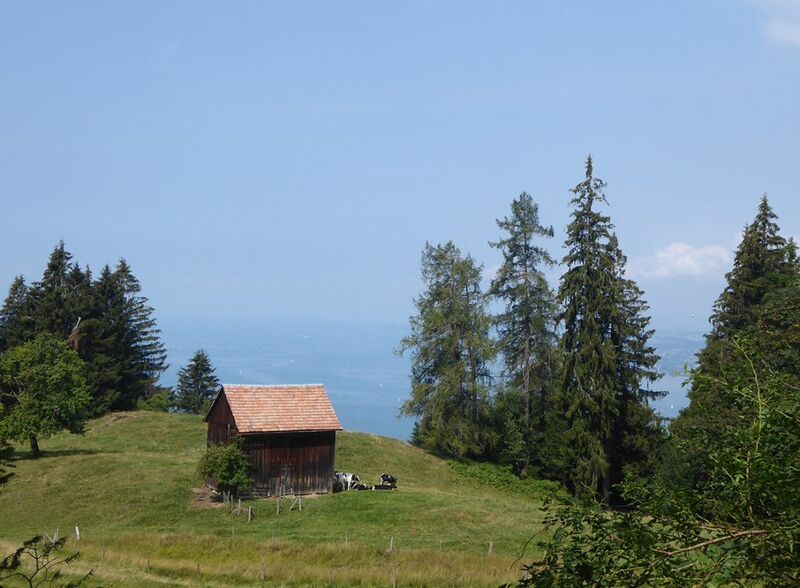 We descend through the Montafon Valley and continue to Bregenz, the capital of Vorarlberg state on the shores of Lake Constance. 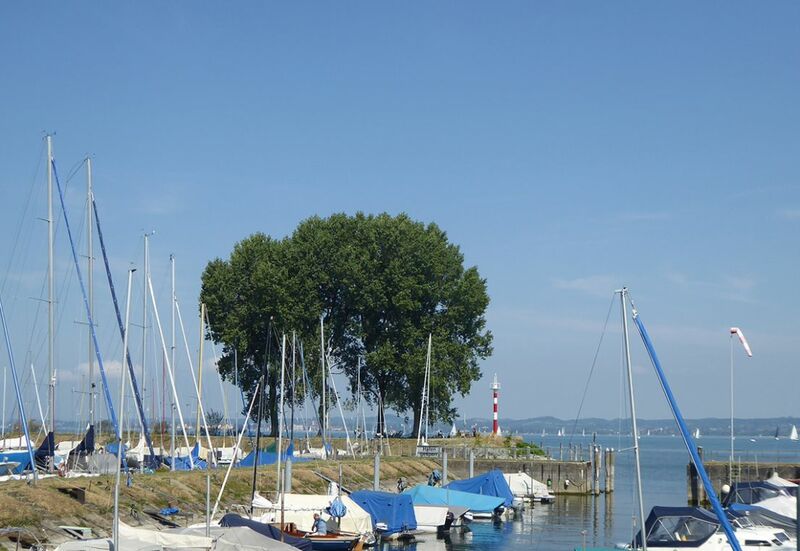 This large lake is fed by the Rhine and spreads across the borders encompassing Austrian, Swiss and German territory. We stay in the centre of Bregenz in an historic 4-star hotel for 4 nights. 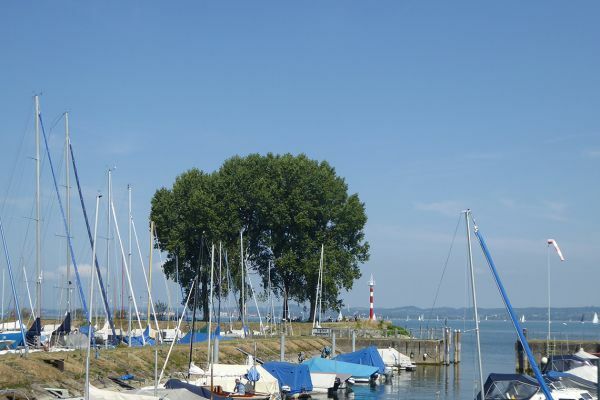 In the morning, we orientate ourselves in Bregenz and later walk for 2 hours, following the track along the lake front. There are opportunities to swim before a light lunch in a restaurant on the lake, followed by some free time to relax in the afternoon. An early dinner precedes our first Festival performance, a Vienna Symphony Orchestra concert of Brahms’ Symphonies no. 3 and 4. 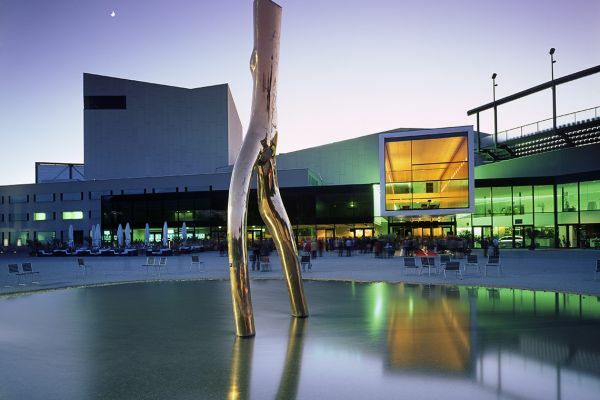 The concert takes place in the Festspielhaus, the modern concert house adjacent to the opera stage on the Lake, and is conducted by the Orchestra’s principal conductor, Philippe Jordan. A 30-minute drive takes us to the start of our 2-hour walk through a scenic river gorge and around a lake. In the nearby Hohenems, situated picturesquely at the foot of a hill, we learn about two aspects of the cultural life of this small town. 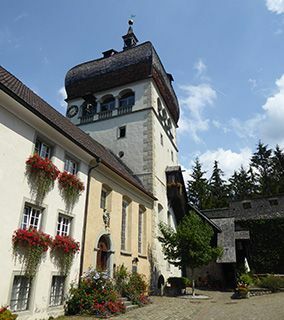 For over three centuries, Hohenems was home to a small Jewish community and the museum of the community’s history is renowned for organising a range of temporary exhibitions and events. The world-famous classical chamber music festival, the Schubertiade, was founded in Hohenems in the 1970s and the Schubertiade Quarter contains museums dedicated to the history of the Festival, Franz Schubert and the legendary soprano Elisabeth Schwarzkopf and her English husband, the record producer Walter Legge. We take the Pfaenderbahn cable car from the station in a side street near the centre to the top of the Pfaender hill (1,064 m), where we start our gradual descent on forest paths and through the oldest part of Bregenz, the Oberstadt. Here we pause to see the 14th century frescos in the Chapel of St. Martin and the adjacent St. Martin’s Tower with its characteristic wooden dome built at the turn of the 16th and the 17th centuries as one of the earliest Baroque structures in the region. 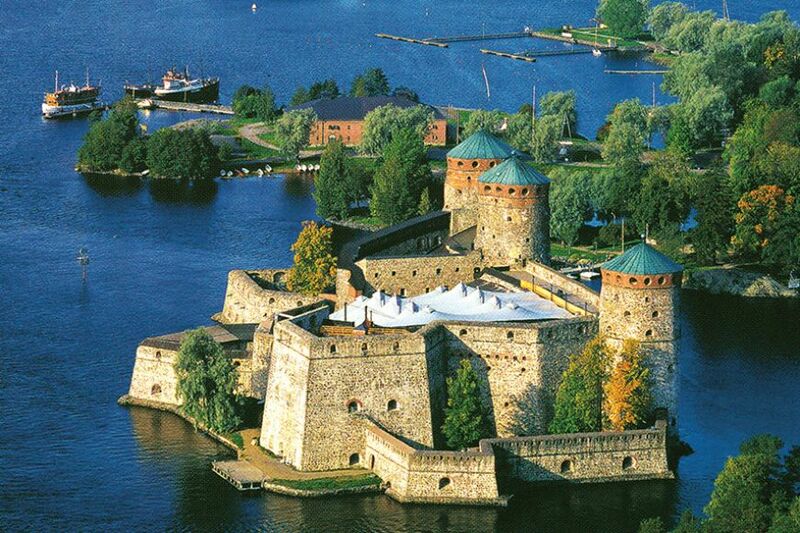 In the evening, we attend Verdi’s Rigoletto set on the floating stage in the lake. The performance will last approximately 2 hrs 15 mins and there is no interval. 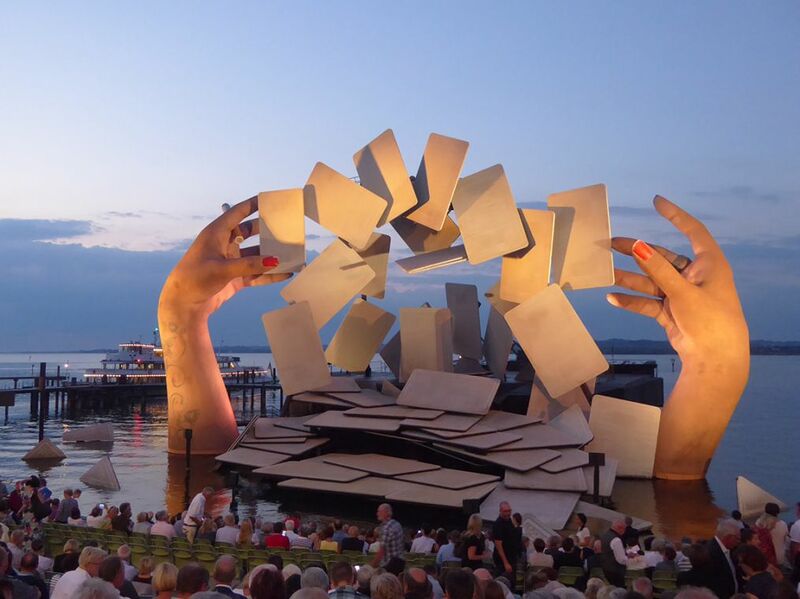 The Bregenz Festival productions are renowned for the effective use of their natural settings. Following a leisurely start, a 2.5-hour road transfer to Innsbruck airport concludes our holiday. Please note that the double for single room supplement is imposed by the hotels and not by Kudu Travel. If you are willing to share, but no other suitable guest books on the trip, we regret that the supplement will be payable. On Kudu trips, you will only need money for postcards, presents to take home, the odd G & T or an irresistible ice cream. Festival and opera tickets, museum and gallery entrances, National Park fees, all meals (with a very few exceptions specified in individual itineraries), wine with lunch and dinner, access to specialist books carried by the guides, gratuities for porters and hotel and restaurant staff, boat rides, train trips, internal flights, wine tastings, 4WDs with drivers, the services of skilled local guides and trackers etc are ALL INCLUDED in the cost of your holiday. We are confident that, like previous very satisfied guests, you will discover that our tours give you excellent value for money. Kudu Travel reserves a block of seats for each performance, many months in advance, and unsold seats will eventually be released. 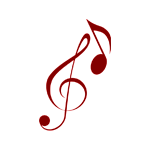 Be aware that it may not be possible to retrieve seats in the same category, or indeed, to obtain any tickets at all for sold out performances. Visitors from the EU, U.S.A., Australia and New Zealand currently require a valid passport, but not a visa, for entry to Austria. If you are a national of any other country, please check visa regulations with your nearest Embassy of Austria. Residents of countries in the EU can claim free (emergency) medical treatment in Austria by presenting their European Health Insurance Card (EHIC). At present, there are no specific and compulsory health requirements for entry to Austria. You may also wish to check the advice given to travellers by the Department of Health and the FCO. It is essential, and a condition of booking, that you protect yourself with a suitable travel insurance policy as soon as you book this trip. We can arrange comprehensive cover for UK residents. Follow this link for a quote for a policy available to UK residents. If you are already insured or a non-UK resident, please inform us of your policy at the time of booking. This trip will run with a minimum of 4 and a maximum of 14 guests. 5 walking days, 2 – 3 hours daily. Good paths on limestone and through woods, occasionally muddy or rough underfoot. Walking boots offering good ankle support are recommended. In early August, average low temperature is 13°C in Innsbruck and 15°C in Bregenz and average high temperature is 24°C for both cities.